The steering committee for The Gathering. Top, L-R: Myokei Caine-Barett, Jules Shuzen Harris, Rev. angel Kyodo williams. Bottom, L-R: Gaylon Ferguson, Konda Mason, Gina Sharpe. 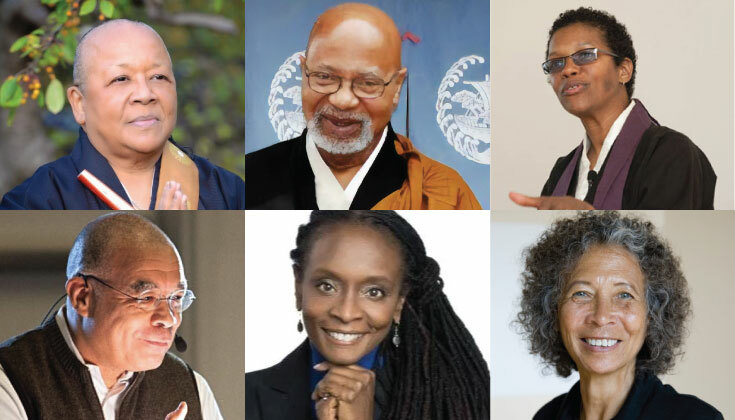 Leading Buddhist teachers of black African descent from across the United States will gather at Union Theological Seminary in the City of New York on Sunday, October 21, for “Black & Buddhist in America,” a conversation about dharma, the state of the world, and what it means to be a black Buddhist in America today. 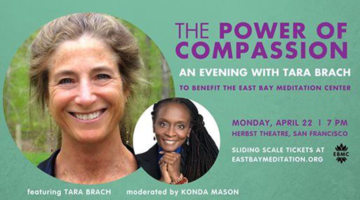 You can join this unprecedented event in person or by livestream. To register and for more information, go to utsnyc.edu/event/black-buddhist-in-america. 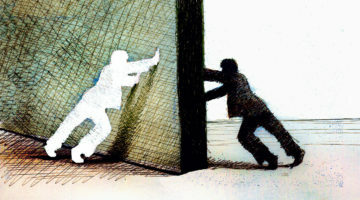 There is no cost. This public dialogue follows the conclusion of The Gathering, a historic meeting of Buddhist teachers of black African descent from many different Buddhist traditions. 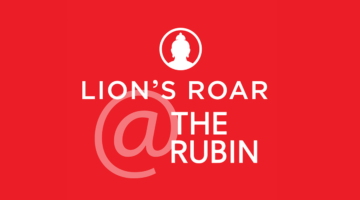 The Gathering is co-hosted by Lion’s Roar and Union Theological Seminary’s Thích Nhất Hạnh Program for Engaged Buddhism, with support from the Arthur Vining Davis Foundations, the Hemera Foundation, and the Frederick P. Lenz Foundation. “Black and Buddhist in America” will take place on October 21 from 2:00 pm to 4:00 pm at Social Hall, Union Theological Seminary, 3041 Broadway, New York.